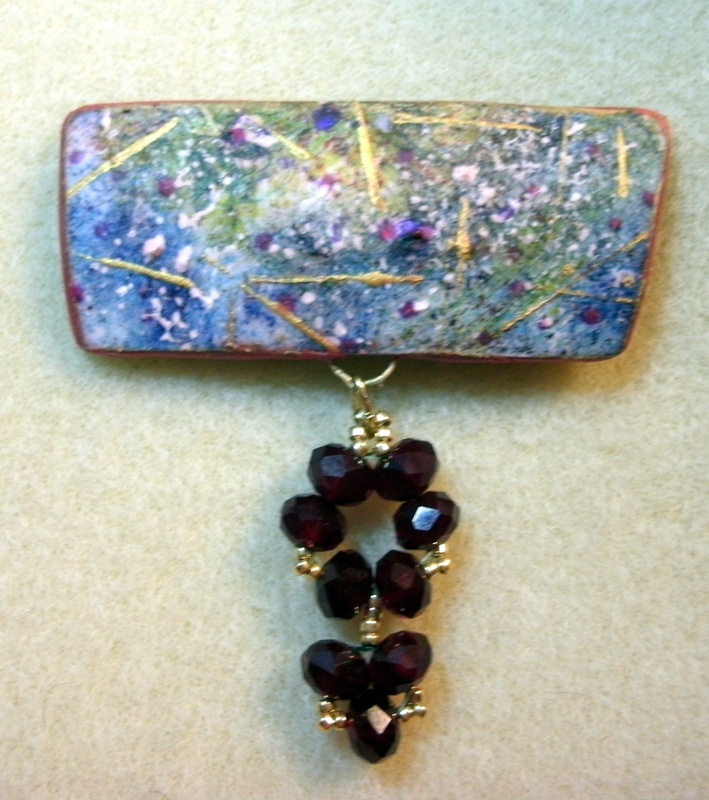 Ellen Marshall creates one-of-a-kind and limited-edition contemporary art jewelry featuring polymer clay. She is inspired by art quilts, ceramics, graphic arts, and color. Ceramic influences led her to explore surface design on polymer clay. Ellen’s book, Polymer Clay Surface Design Recipes, published by Quarry, presents many of the surface techniques she has developed. She is published in other books and magazines including Step By Step Beads and PolymerCafe. Ellen is the founder and former chair of the Philadelphia Area Polymer Clay Guild and a past president of the National Polymer Clay Guild, now International Polymer Clay Guild. She was honored at IPCG’s first Synergy Conference with a life-time membership. She is proficient in several beadweaving stitches such as peyote, herringbone, and right-angle weave and is now working on designing jewelry that incorporates both polymer and seed bead weaving. She teaches polymer clay and beading crafts with the goal of inspiring others to discover and explore new directions in their art. ELLEN MARSHALL – Color, Surface Treatment, and A Little Bling (Pre-conference) Fri. 15 Feb. In this one-day class you’ll create a sumptuously colorful pendant made extraordinary with the addition of a simple beaded accent. You’ll be introduced to using acrylic dyes on polymer clay to produce a ceramic-like surface design. Experience with beadweaving is helpful, but not required to make the beaded accent.